With the recent advancements in the technology, it is evident that the scope for Electronics and Telecommunication Projects are increasing day by day. From the trending autonomous self-driving cars to Internet of Things (IoT) & Wearable Gadgets, all of these are possible due to the advancement of Electronics & Telecommunication Engineering. Students doing Electronics & Telecommunication Engineering (E&TC) have better scope in future if they utilize their engineering projects in the right manner. These latest projects that we are seeing today involve both the software and hardware sections which is very critical for their proper functioning. Doing good mini projects will help an Electronics and Telecommunication (E&TC) Engineer to acquire both the hardware and software knowledge. Good E&TC Mini Projects serves as an effective platform for you to develop and equip with the necessary skills that are needed by the industries of today. So you should be very careful in selecting the E&TC Mini Project Topic, because if done in the right way it will greatly assist you in building an exciting career. Here we are suggesting some of the Electronics and Telecommunication (E&TC) Mini Project Topics that you do and strengthen your knowledge database. In case you are interested to do innovative engineering projects but don’t know where to start, Skyfi Labs has developed Online Project Based Courses that you can use to build your projects in the best way possible. Our Learn-Do-Review Methodology ensures your learning while you build your mini or final year projects. Kits needed will be dispatched to you within 24 hours and you get instant access to the course content. 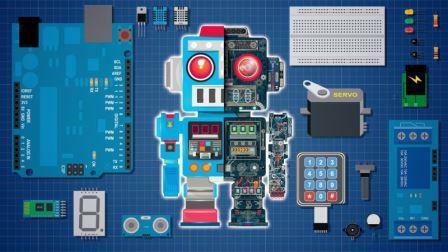 Using the kits and course content, you can build super awesome Embedded Systems Projects! Build Innovative E&TC (Electronics and Telecommunication Engineering) Mini Projects using Skyfi Labs Online Project Based Courses. Click here for more details.